My name is Arietta and I’m a shoeaholic! Oh, the shoes… It’s like I’m drawn to them by some force of nature that I cannot explain. No matter how many I own, I still need more… But enough is enough, I have to take a positive turn in my life and start making some changes. So, after deep soul searching and meditation, I finally came to the conclusion that…I need more designer shoes!!! Haha, fooled you din’t I? This video made me realise that most of my summer shoes are high street. And let’s face it: it’s so tempting to get 3 or 4 pairs of those lovely and affordable shoes instead of saving up for 1 pair of designer footwear. Even though you know that they will not be as comfortable or as glamorous as the latter. The truth lies somewhere in the middle I believe. I don’t want to become one of those people who wear nothing but designer clothing and accessories. I mean, if Kate Moss wears Zara, who am I to snub it?! I hope you liked my video (and clicked on the “like” button!) and I am already planning to do a couple more very soon! 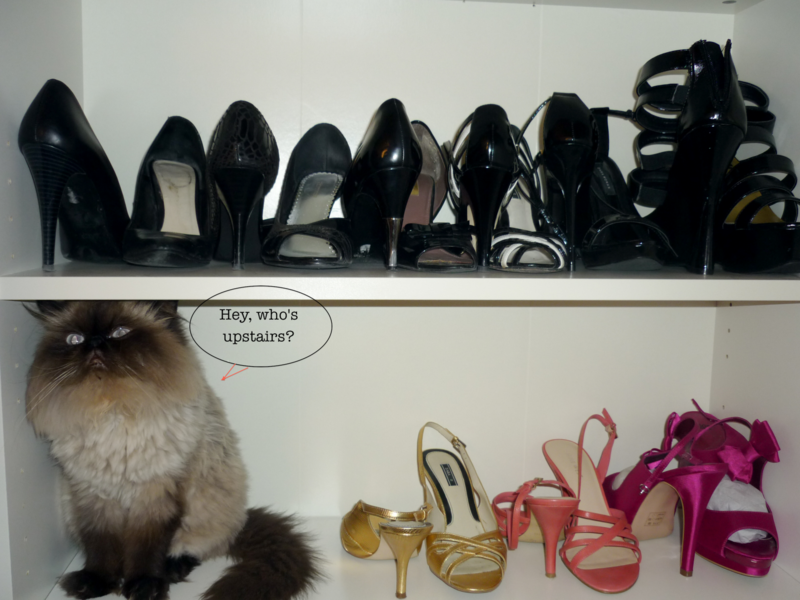 This entry was posted in Uncategorized and tagged Linzi shoe collection, Loulou, storage, video.